Another brilliant Plantation Single Estate rum bottling. This time they’ve chosen spirit produced by Destilerias Unidas S.A. de Peru, found close to the Peruvian’s northern coastline, in the arid region of the Chicama Valley. 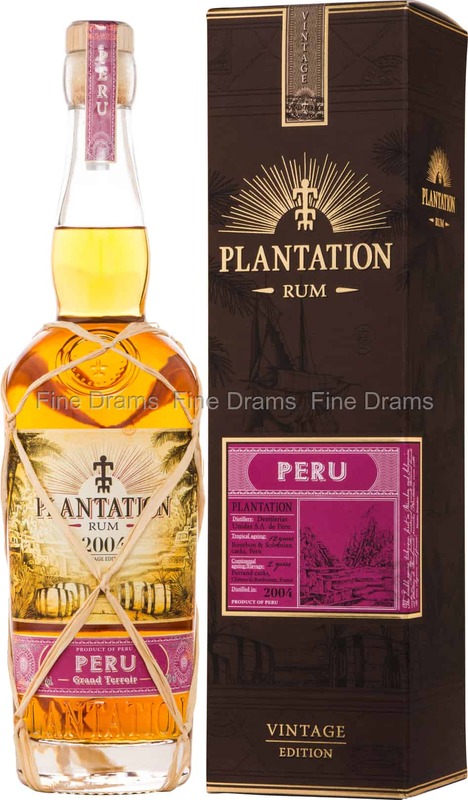 Plantation Peru is made from Molasses that have been fermented for 72 hours, creating a The rum is distilled in column stills, for a pure and slightly dry spirit. This rum has been aged for 12 years in Peru (having been aged in Bourbon and intriguingly, Slovenian oak casks! ), before spending two years at the Château de Bonbonnet in France, where it is finished in Ferrand Cognac casks. The result is a very fine rum, which serves up waves of preserved fig, toffee, dried fruit, peppery spice, pastry, almond, banana, mango and cream flavours. Plantation Peru is bottled at 43.5% ABV, for a little more intensity. Plantation can do no wrong – this is yet another exceptional release.